March Madness might be less than a day old, but unlike that other bracket where you can only watch as your selections go down in flames, Military Times' Clash of Characters lets you have your say on the outcome. 1. Captains crash? 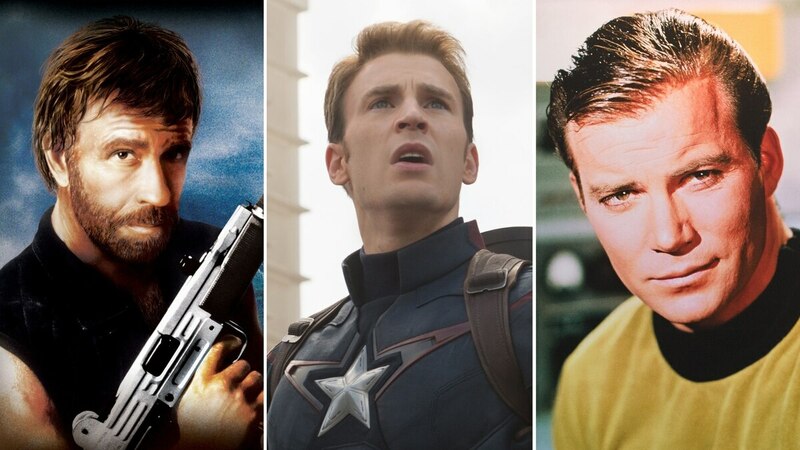 Steve Rogers and James T. Kirk have time to rally, but both have ground to make up: Captain America has less than a third of the vote in his battle with Benjamin Martin (Mel Gibson, "The Patriot") while Capt. Kirk has about 46 percent of the vote in his contest against another captain, "Hawkeye" Pierce. 2. Get serious. Charlie Sheen's Lt. Topper Harley ("Hot Shots!") is barely out of the starting block against Maj. Alan "Dutch" Schaefer (Arnold Schwarzenegger, "Predator"), with below 20 percent of the vote total. Bill Murray's John Winger ("Stripes") has fared a bit better against Lt. Col. Bill Kilgore (Robert Duvall, "Apocalypse Now"), but still trails with about 35 percent of the vote. Who’s the best on-screen military character ever? It's never too early for a comeback, but fans of Lt. Cmdr. Queeg and Chief Petty Officer Ryback -- from the Oscar-nominated "The Caine Mutiny" and the not-quite-Oscar-nominated "Under Siege," respectfully -- best get clicking quickly. Both characters are on the wrong end of routs thanks to a pair of early tournament favorites, Gunnery Sgt. Hartman and John Rambo. Sure, you might find basketball teams that play different systems in the NCAA tourney, but Battle Bracket is the go-to for contests that really go outside the box. Case in point: Darth Vader has about a 3-to-1 edge over Lt. Jordan O'Neill, portrayed by Demi Moore in "G.I. Jane." If trends hold, the final four characters in the Big Names and Blockbusters region will have been portrayed by a casting agent's dream team: Jack Nicholson, Sean Connery, Tom Cruise and Tom Hanks. Closest to slipping: Cruise's Lt. Pete "Maverick" Mitchell ("Top Gun"), who is fending off a late surge from Lt. A.K. Waters (Bruce Willis, "Tears of the Sun"). And speaking of stars, Brad Pitt's "Wardaddy" Collier ("Fury") has the early edge over Maj. Scott McCoy ("Delta Force"), which could leave the bracket Chuck Norris-less. to cast your vote, and share your picks on social media with the hashtag #BattleBracket.